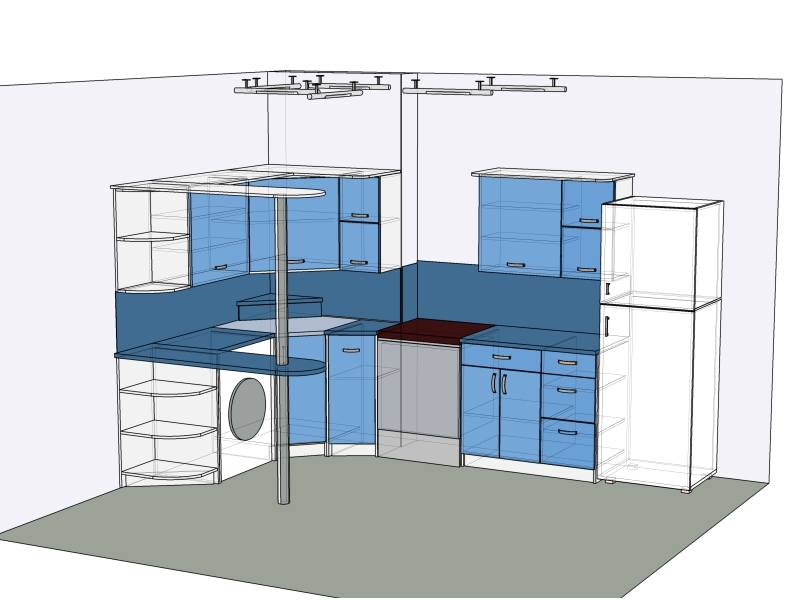 Kitchen corner with a bar (10 items) .Razmer: 1755h2433. File upkovn the archive RAR. 3D-file format modelv PRO100. Cutting "SOYER" .tak same performance all-format dokumentatsiyav WOLD, including krty cutting, drawings, calculation of the cost of materials and accessories.